July 12- Don’t miss your next chance to dance with this live Brooklyn duo! 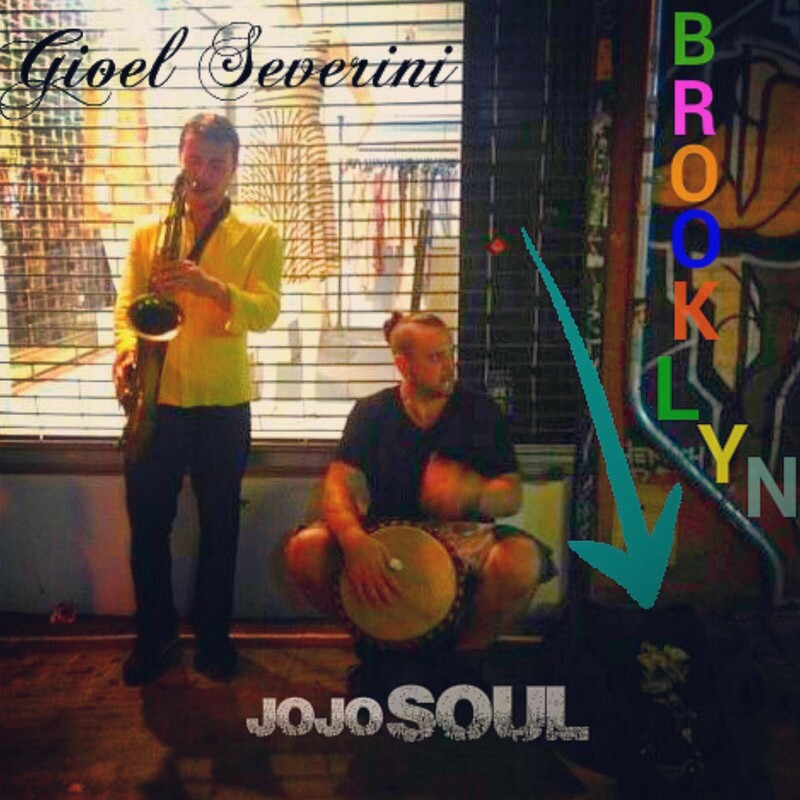 Gioel brings his expert jazz techniques and high-level of musicianship to combine with jojo’s rhythm and groove for their latest project. The sound ranges from feel-to-feel, as both musicians strip down to rhythm and melody, using live improvisation to capture the audience and explore different grooves. Focused on dynamics, pulse, and compelling dance and movement, the duo have been playing parks, streets, clubs, galleries, bars, and venues in NYC, engaging audiences to dance and groove along. July 12- Gioel and jojo will be performing at 739 Franklin, Crown Heights for Open Mic Extravaganza, hosted by RG and Sneeze. Follow @jojoSOUL on Twitter for our latest street spots and gigs! Previous PostPrevious Sunday Evening- June 2: Dance with DJ jojoSOUL at Tutu’s Brooklyn! 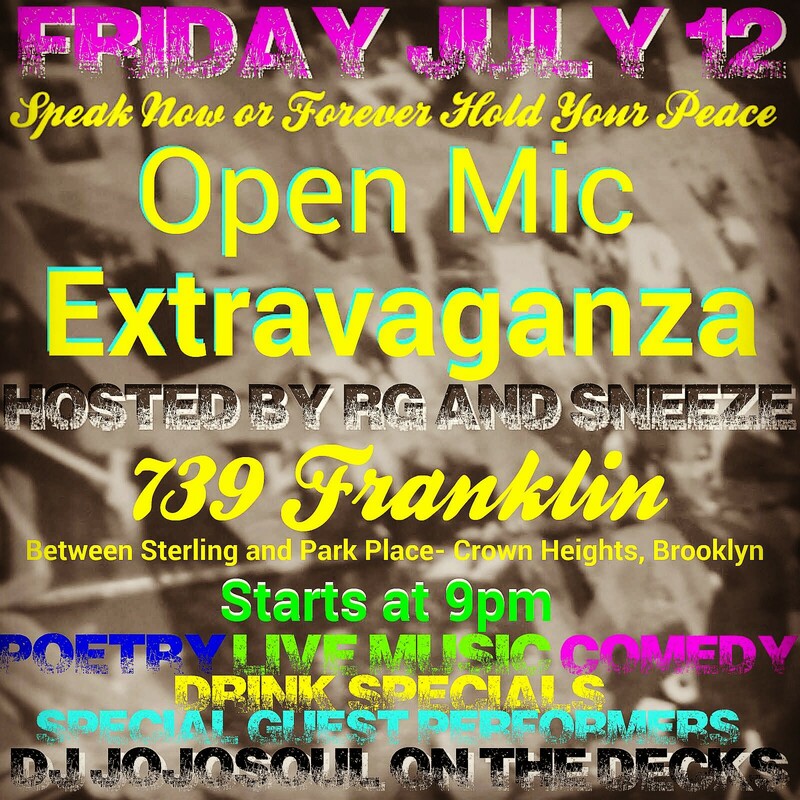 Next PostNext Friday 7/12/13: Must-See Live Music/Comedy/Poetry/DJ in Crown Heights!